The National Library of Ireland (NLI) has announced the appointment of Dr Sandra Collins to the role of Director. 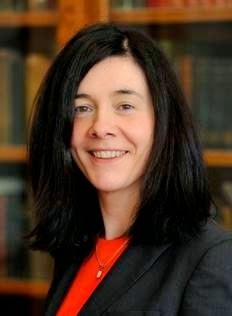 Dr Collins joins the National Library of Ireland from her role as the Director of the Digital Repository of Ireland (DRI) in the Royal Irish Academy where she established and led an ambitious national research centre developing both policy and e-infrastructure for digital preservation of cultural and social data. Her career has included leadership roles in research, industry and public service, with earlier positions at Science Foundation Ireland, Ericsson telecommunications, and Dublin City University. She is originally a mathematician and received her PhD in 1996 from UCD in the area of nonlinear fluid dynamics. Announcing the appointment, NLI board member Paul Shovlin said: 'We are very pleased that Sandra is joining the National Library as Director. Her experience and interest in digital preservation in particular is of huge importance as the Library is particularly engaged in the digitisation of records. 'The board and staff of the NLI look forward to working closely with her over the coming years. With the decade of commemoration now underway and with 1916 commemorations just around the corner, her leadership, expertise and skills will be hugely valuable,' he added. Having been appointed for a period of five years, Dr Collins will take up her new position on 31 July 2015.